Welcome back! 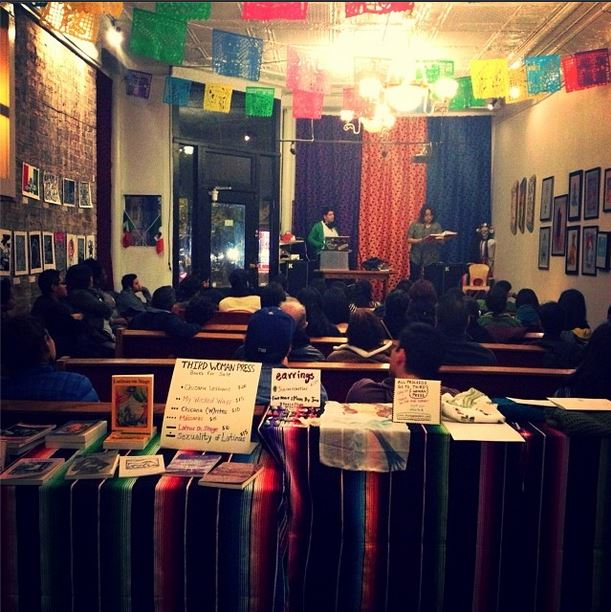 Remember last week’s talk with Chicago’s Diana Alvarado? 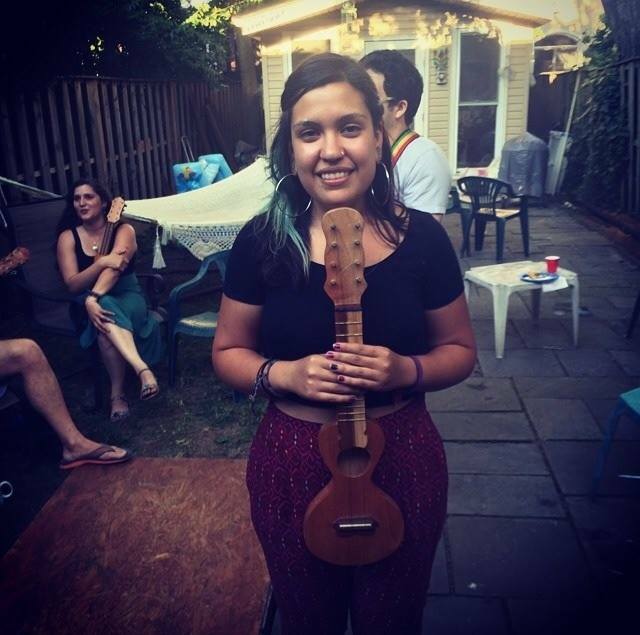 Well, this week, we continue the conversation with her partner in organizing, Jeanette Martín, who helped coordinate the amazing fundraiser they held last year in Chicago. Jeanette is an artist with big dreams and an even bigger heart. Check out our interview with her below! Third Woman Press Collective (TWPC): Hi there, Jeanette! It’s a pleasure to chat with you. Thanks so much for taking time out for us! Can we start with where you’re living? Jeanette Martín (JM): Vivo on the southside of Milwaukee, where I was born and raised. It’s the biggest city in the state of Wisconsin, and el area en donde vivo is a working class immigrant neighborhood. Pero actually, many people don’t know where Milwaukee is! It’s relatively close to Chicago … about 90 miles north from there. TWPC: We’re looking at you, Wisconsin muxeres! So, Jeanette, what keeps you busy? JM: Ahorita, what has been keeping me busy is the amount of transition I’m going through. For the first time in 20 years, I’m not in academia anymore. I just wrapped up my master’s program in June and am finally trying to settle back home in Milwaukee. So ahorita me encuentro hustling to find trabajo and find that balance to make sure I am taking care of myself physically, mentally, and spiritually. I am currently the Gender and Sexuality Resource Center Program Assistant at Marquette University, so I am trying to find mi lugar and role allí. Right now that feels good, y también me encuentro organizando eventos [and also I find myself organizing events] here and there with a collective I’m a part of, STITCH, we organize mostly arts-based events and spaces that hit on issues of racial segregation as well as other social justice issues. También I’m getting involved again with local issues we are going through as a city such as the militarization of our hood both in the form of increased ICE (Immigration Customs and Enforcement) presence as well as MPD (Milwaukee Police Department). Woooh…it’s a lot of little… but big, things here and there, but my heart is 100% in them, and that is where I feel I need to be to serve my community. TWPC: Wow, it sounds like you have a lot going on. First, congratulations on getting your master’s degree! Second, thank you for your commitment to justice in our communities. Rock on, muxer. We can see how passionate you are in contributing to your hometown, so can you tell us what influenced your decision to help fundraise for Third Woman Press, too? JM: It had to do with how much the Press has fed me knowledge through words and poems that have really influenced the person I am now. To be given una oportunidad to contribute into keeping this Press alive, how could I say no? I believe en trabajo que empieza de abajo [work that begins from the bottom], and to do this with a compañera como Diana, it was nothing but an honor. The work that has come out of the Press has been nothing but nourishment for every part of me, and that is really powerful. TWPC: Beautifully said, Jeanette. We definitely feel those waves of energy, too. It is so special to hear how womyn from many different backgrounds have been inspired by the same words! (Feminist fistbump, anyone?) Tell us, what was your favorite detail, performance, interaction, etc., from the fundraiser you organized? From the Chicago TWP Event. On stage right is caliXta, DJ part of Dale Shine, and on stage left is Professor Teresa Cordova. JM: Sabes, it’s hard for me to answer this question! Y usually any question that asks me to narrow down an impactful experience to just one is a lot of pressure! [Laughs.] I have to say, first off, que I’m not from Chicago, so for me to have co-organized a fundraiser in a city so new to me, was really dope and challenging at the same time. 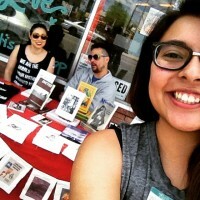 Pero en eso it gave me the opportunity para conocer la comunidad [to get to know the community] literally by walking the streets to find a location to host the event, to finding artists and makers to contribute to the silent auction we had. It was just an endless amount of beautiful connections que I was making organically; that made it all the beautiful event that it was. TWPC: Very cool! Thank you so much for all of your help. We’re glad you enjoyed yourself in Chicago! Speaking of new places, is there any specific area, field, or place that you feel really needs a feminist intervention right now? 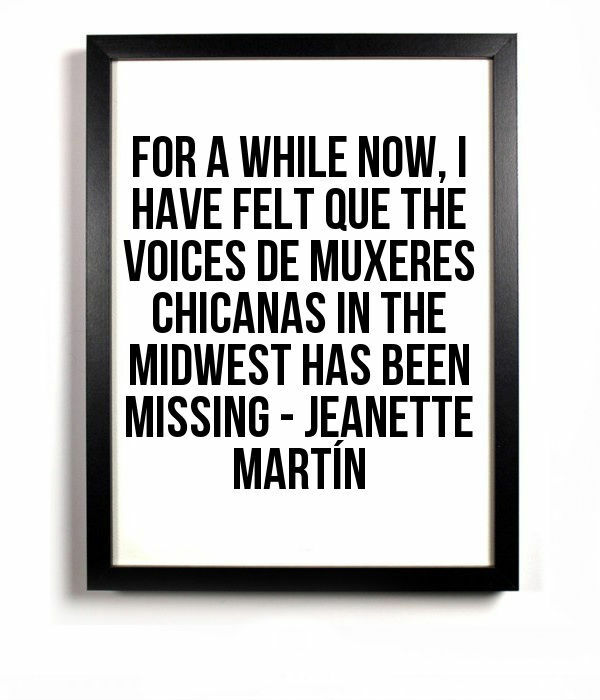 JM: For a while now, I have felt que the voices de muxeres Chicanas in the Midwest has been missing. We’ve been out here, our gente has been out here, and we are struggling, too! And I feel we would learn so much by expanding our geographical minds, and really wondering about las comunidades in other cities. I can only dream what it would be like to make those bridges from coast to coast, to the Midwest and down South, n’ombres! TWPC: We completely agree! TWP started in the Midwest, you know? Looking through the archives, we just found a small journal titled, “From the Midwest to the West,” published in Bloomington, Indiana, in 1980. It was edited by Patricia Montenegro (at Stanford University at the time) and Margorie Agosín (at Indiana University at the time). 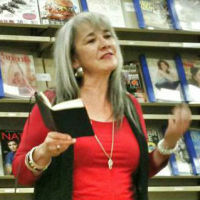 The little journal includes three Midwest poets (Agosín, Alarcón, and Cisneros) and three West Coast poets (Barbara Brinson-Piñeda, Montenegro, and Gloria Treviño). We think that what you’re pointing out—the neglect of Chicana feminists in the Midwest—is what they were talking about more than 30 years ago. We really need to revisit that conversation. Since you helped TWP raise money, what is one thing that excited you about the revitalization or what else would you like to see TWP do overall? JM: I enjoy the sharing of skills and knowledge, so I would really love to see how TWP could create some sort of space for mentorship or even just exchange amongst us feminists of color could happen. And I’m not even thinking a formal TWP conferencia or something, but even a summer gathering, una semana of an writing and art intercambio. Sky’s the limit; we’re magical beings. TWPC: What a beautiful thought! That definitely sounds like something we would love to do someday. As you said, the sky’s the limit, muxer. What do you like to do for fun, for “magic”? JM: I love escaping into music. I’m a music junkie and love finding new tunes. Y con eso I love dancing también. TWPC: Loving it! Those both sound like a lot of fun. Are there any activities you do specifically to recharge after doing community organizing? JM: I’ve really been working on recharging by using my physical body. 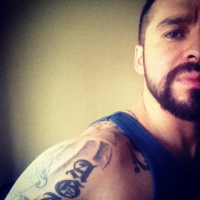 I try to go to the gym at least five times a week because I know it’s what makes me feel good afterwards. I enjoy pushing myself physically even though I may be mentally exhausted … which I know may sound crazy. [Laughs.] I have also been trying to get back into making art. I’m an artist and visionary at heart; it’s what I’ve studied both in undergrad and graduate school, and it makes no sense how that’s one of the things that I do not do enough now. But when I do, I love the escape. TWPC: Oh, that’s great! We’re happy to hear that know your ways of taking care of yourself. And, yes, get back to making your art. May you forever find inspiration wherever you look. Thank you again! We’d like to send out many thank yous to Jeanette Martín for all of her hard work in helping Third Woman Press come back to life! 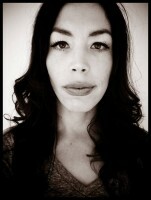 For more information about Jeanette as an artist, cultural worker, and educator, visit her site. You can also follow her on Instagram! 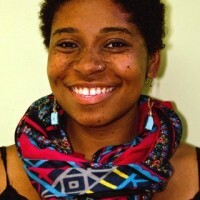 And if you’re near Milwaukee, you’ll also find her working with arts-based collective STITCH.